The Writer's Strike begins its third week today. Contract negotiations will resume on the 26th, so there is a bit of hope. Although it was previously announced that it wouldn't be affected by the strike, the sequel to "The DaVinci Code" will NOT be rushed into production after all. Unfortunately, there's more to worry about - the Director's Guild contract expires on June 30. Normally they would have started their negotiations by now, but they don't want to undermine the striking writers. This could be a problem. 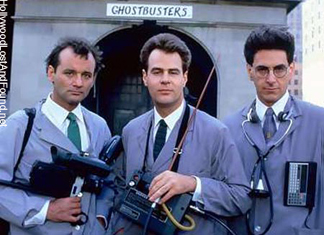 There's a "Ghostbusters" sequel in the works... sort of. It's a video game, and most of the major cast members are participating. There are plans to redevelop the historic Pinewood Studios in England. Casting for "Harry Potter and the Half-Blood Prince" is complete. Hugh Hefner has donated $2 million to the USC Cinema Department. 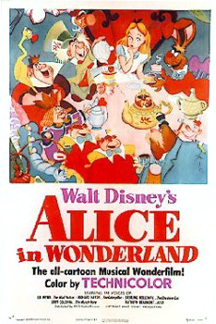 Tim Burton will direct a 3D feature length "Alice in Wonderland" for Disney, as well as a remake of his own short, "Frankenweenie." Speaking of Disney, several new "Disney Legends" were celebrated on the Disney Studio lot recently. Television news icon Walter Cronkite has signed a deal with the cable network Retirement Living TV to produce weekly editorial commentaries. By the way, I will be appearing on the same network in the very near future. Stay tuned for details...!